VIX and More: Huge Gap Between VIX IV and HV, But Is The Direction Wrong? Huge Gap Between VIX IV and HV, But Is The Direction Wrong? It is not that difficult to come up with data and charts that have many investors wondering if risk and uncertainty are being underpriced in advance of the euro zone summit. Earlier today, I offered up one possible example in Euro Volatility and Risk. Since the VIX receives top billing in this space (and not too long ago carried the mostly tongue-in-cheek moniker, “Your One-Stop VIX-Centric View of the World…”), I thought a VIX-specific example might also be of interest. 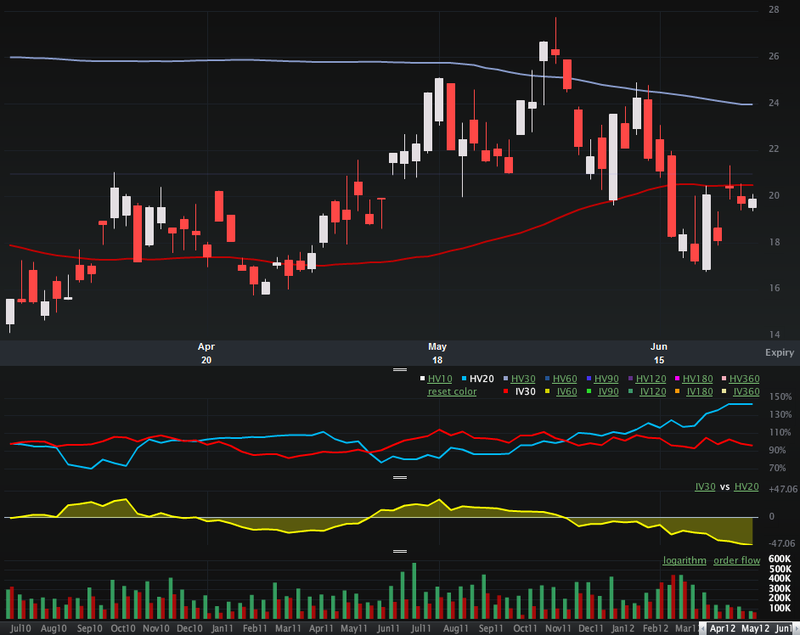 The chart below shows the last three months of VIX data, with VIX candlesticks on the main chart on the top. The second chart from the top compares the 20-day historical volatility of the VIX (blue line) with the 30-day implied volatility of the VIX (red line), with the yellow area chart just below it calculating the HV minus IV. Much to my surprise the current 20-day HV is 144, while the current IV is only 98. In other words, the markets expect the VIX to be considerably less volatile in the month ahead than it has been over the course of the last month. I am not surprised to see the gap, but do the markets have the direction of the gap right? In terms of trading opportunities, if you disagree with the market consensus, then VIX straddles probably look fairly cheap right now. The VIX IV also raises the question: just where is the fear in the markets right now? Note that the CBOE recently launched the CBOE VVIX Index (VVIX), which is essentially a VIX of the VIX and is very similar to the VIX IV30 measure that is calculated by Livevol in the chart below. 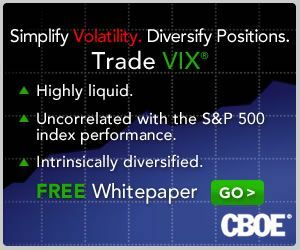 You can find more information about VVIX at the CBOE’s VVIX micro site. I will certainly have a lot to say about this intriguing index going forward.